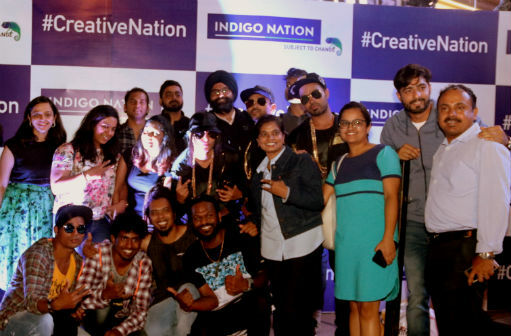 Bengaluru: Indigo Nation, the flagship lifestyle brand for Gen Z from the house of Future Lifestyle Fashions synonymous with the young, restless, and edgy fashion is out there heralding the change and this time with their new campaign #CreativeNation that is breaking all stereotypes. This event is not just about the launch of a new collection, but an amplification of #CreativeNation through a session of Dance Therapy! The event witnessed an intense session of ‘dance therapy’ at their flagship store at Indiranagar with dance styles like krumping, popping, locking, hip-hop and others. The event went hand-in-hand with their stereotype-shattering new campaign #CreativeNation. The campaign celebrates the daring spirit and creative energy of today’s youth. This spirit has given rise to a new breed of creative professionals who are restless and ambitious. They thrive on change and are passionate about their creativity. Sure enough, they dress with a flair that reflects it. This campaign celebrates the new professionals, the new trendsetters of creativity at the workplace. Graffitti Crew, a renowned hip-hop group from South India, headed by Sritheren and Velu ‘hip-hop’ Kumar led the dance therapy session with their world class acts. The passionate dancer took to the floor with different dance styles. The act was further taken to the next level as the dancers showcased the all new aw’17 collection inspired by #CreativeNation like Tattoo King, Metropolitan, Street Cult & City Lights which were also on display at the store. The groups that performed were styled in the brand’s latest collection at the store. The energy proved to be very contagious and resulted in the audience joining in for some freestyle dance-off.